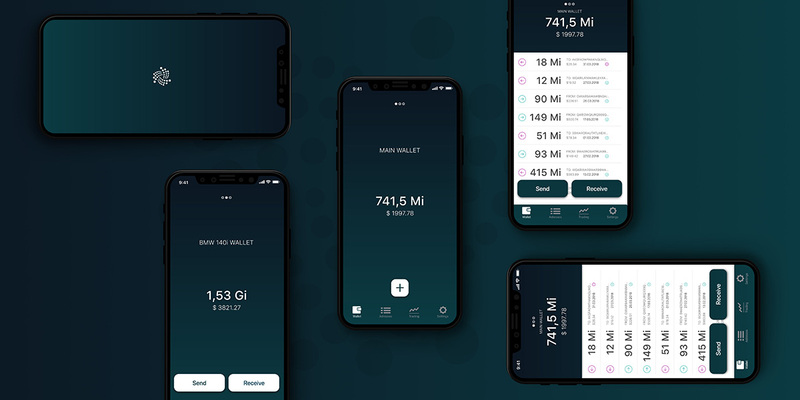 Trinity wallet is IOTA’s own digital wallet to securely store, manage and transfer your coins. The software is already rolled out in public beta on iOS and Android, with a desktop wallet following soon for all major platforms. Trinity aims for an easy and intuitive access to Distributed Ledger Technology and the new topic of cryptocurrencies. I wasnt initially part of the trinity team, but the earlier light wallet was neither user friendly, nor intuitiv for people that are not tech savvy. That beeing said it was also possible to loose coins and with that money, if you did not use it correctly. The Iota Foundation took action and announced to be working on a new wallet. In that moment i also started to think about how a new wallet should be designed to reach the broad range of personas using trinity – covering 18 -60+ in age, ranging from no tech background to knowing the iota protocol by heart. After i released my case study as an animated preview on twitter, the Iota foundation reached out to me, and i got part of the official trinity team. Currently i am working on trinity focussing on the ux motion design, and i contributed to the trinity webpage. This project started as a concept idea and case study, so i took ownership of all the research stages, design and management. Working with the IF now, i am contributing my experience in UX motion design to enrich trinity's usability. If you wanna have a look at the ux motion of upcoming trinity release, let's meet up.